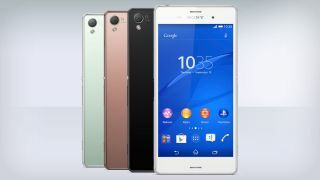 Sony has today started taking pre-orders for the new Xperia Z3 and Z3 Compact smartphones through its website. Amazon and Carphone Warehouse are likewise taking orders for the new flagship which has a shipping date of September 29. The Xperia Z3 will set you back £549 SIM-free from Sony, although interestingly Amazon has it listed at £529. Meanwhile the Compact is available for slightly less at £429 SIM-free. In terms of colour, you can get the Xperia Z3 in black, white, copper or green and the Z3 Compact in a choice of black, white, green or orange. Can't decide? Read our hands on reviews of the Xperia Z3 and the Xperia Z3 Compact.